At our trusted jewelry store, David Ellis Cherry Creek in Denver, CO, we buy a wide variety of jewelry items including diamonds, platinum jewelry, modern jewelry and gold jewelry. We are industry-leaders with several generations of experience in the jewelry industry. The big industry chains simply cannot match our level of customer service and personalized attention. 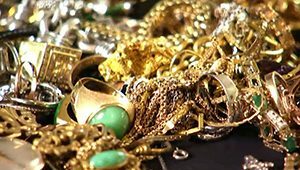 Add to that a state-of-the-art custom jewelry maker and very competitive prices for buying and selling gold, silver, diamonds, platinum and more, and you have the best jeweler in the Denver Metro area. As a member of the Industry Society of Appraisers, we always appraise precious items at current industry rates and provide you the best service and prices in town. Stop by David Ellis Cherry Creek today for all your jewelry selling and buying needs!